The Jeep Compass is a capable off-roader with a spacious cabin and tons of utility features, and when you explore the extensive pre-owned inventory at Connors Chrysler Dodge Jeep Ram, you can drive one home to Michigan City or Westville for a fraction of the price you might expect! Each of the used Jeep Compass models for sale at Connors Chrysler Dodge Jeep Ram has been rigorously inspected to ensure quality, so don’t wait to get behind the wheel. Contact us to schedule your test drive today! 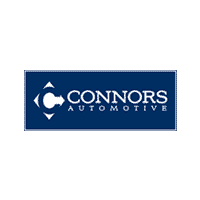 Why Choose a Used Jeep Compass from Connors Chrysler Dodge Jeep Ram? If you’re still in the research phase of your search, compare the compass to the Ford Escape to find out what sets this model apart! This dependable Jeep offers an invigorating blend of features and capabilities, but of course, that’s not the only reason to find your next pre-owned SUV at Connors Chrysler Dodge Jeep Ram near Valparaiso. When you visit our showroom to test drive a used Jeep Compass, our team of dedicated professionals will guide you through the entire purchasing process, helping you to value for your trade-in and secure the monthly payment that works for you! Long after you’ve driven off our lot, you can count on the experts at our service center to keep your used Jeep Compass running exactly as its makers intended.